Accelerate your website conversions. Boost revenue. We grow businesses by converting your web traffic into more paying customers via a unique scientific method. 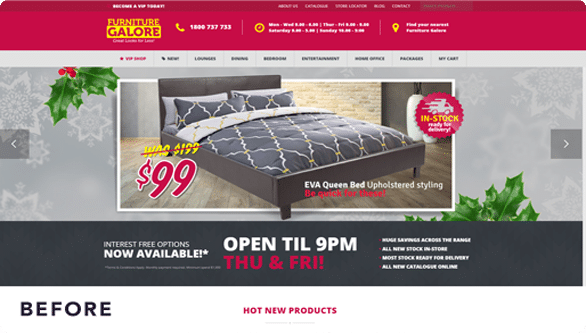 With significant online traffic and great brand awareness, Furniture Galore needed to work out why their site still struggled to convert sales or boost in-store walk-ins – they needed a tailored optimisation plan. Using a dual data-driven and customer-centric approach our team increased e-commerce revenue by 53% in just the first 3 months , with a further increase in the next four months of 26%. 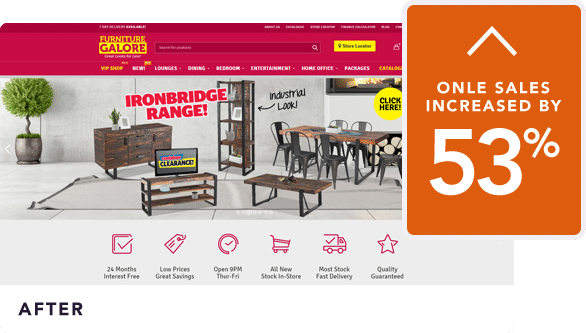 In-store, we increased foot traffic by 31% to boost Furniture Galore’s bottom line. 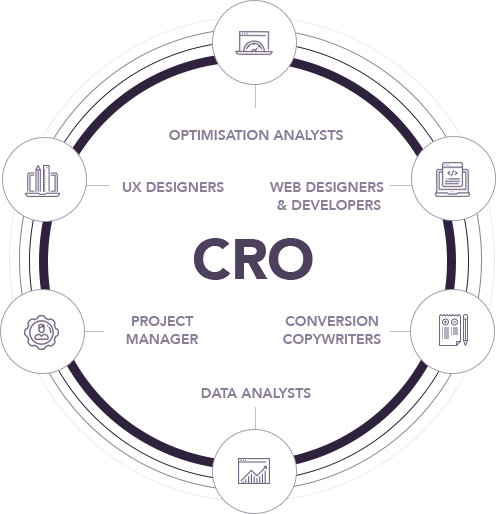 Our team of skilled Optimisation Analysts, Conversion Copywriters, UX designers, Analytics Engineers, Conversion architects and Project Managers all work together toward a common goal – to empower you to WIN and increase your conversion rate. We aim to understand your business and customers so intimately that we become like an extension of your team. The Conversionry process will never be one-size-fits-all. 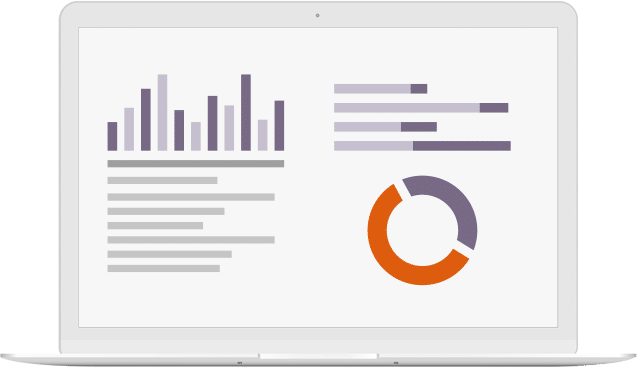 Your website tells a story about your company and products. But it also tells us a story about your customers. 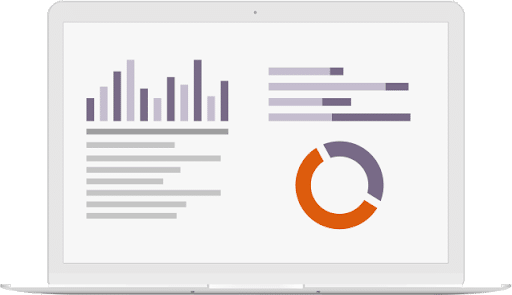 We’ve made it our mission to listen to what your website visitors are telling us through in-depth analysis and research. We don’t let personal preferences or generic best practices get in the way of the scientific method. Conversion optimisation (CRO) is a process whereby we let the evidence speak for itself. We have built strong and trustworthy partners across Melbourne and internationally. Our reputation is built on doing one thing and doing it well: implementing our tailor-made CRO process to increase your revenue. We offer a free 30-minute consultation. We will show you where your site is leaking the most revenue and offer an optimisation plan to boost your sales.